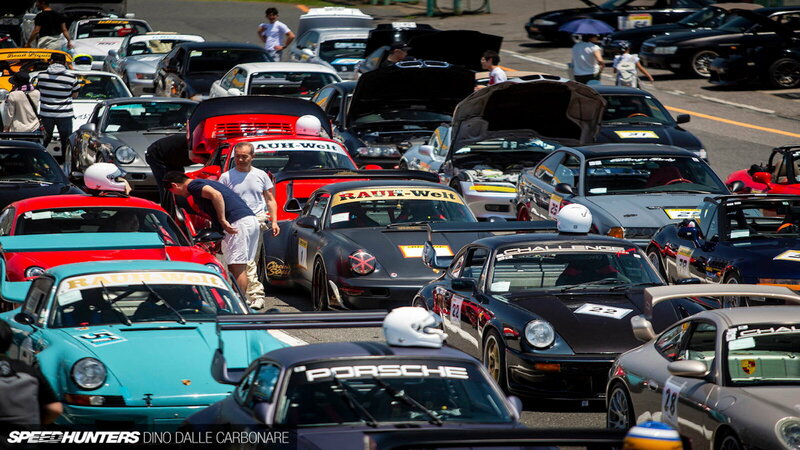 Daily Slideshow: RWB is the acronym for a major Japan-based tuner shop. 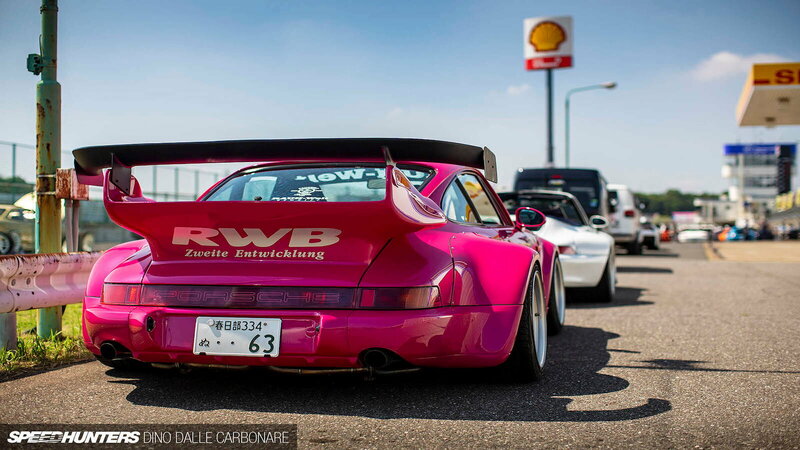 This Rauh-Welt branding, abbreviated "RWB" is a Porsche tuner located in Japan and specializes in pushing boundaries. The Porsche GT2-inspired wide-body conversions which are now offered in so many colors and options originally came about for function over form. More specifically, enabling the body and chassis to accept wider rubber in order to make the handling more efficient and put more power to the ground. RWB has now opened its US Operations in California. RWB has combined Japanese and Euro tuning elements, creating the unique RWB style for the Porsche chassis. All RWB body kits are built by the sturdy and artistic hands of Nakai-San. Akira Nakai aka "Nakai-san" is the founder of RWB. The guy that started it all. The creator of the aggressive widebody styles that pronounce every curve on these old Porsche's. Though the man puts in countless hours of custom body work on many customer's cars, you will always see him behind the wheel of his very own creation ready to tear up the tarmac at every Idler's event. As an enthusiast himself, he responds to the question about how he got into this work in the first place so eloquently: "I don’t think that what I do is work, it’s just a way for me to enjoy myself doing what I love." >>Join the conversation about these RWBs and the over fender wave right here in Rennlist.com! The Tsukuba Circuit is a racetrack located in Shimotsuma, Japan, which neighbors the city of Tsukuba. The track was established in 1966 to persuade young enthusiasts to participate in motorsport but didn't really take off until 1970. This track has appeared in many famous video games like Forza Motorsport, Gran Turismo, and Assetto Corsa and D1 Grand Prix. Many tuner events like Idlers and SKT Max take place here. This glorious road with a varying of corners also hosts Best Motoring in testing and racing of various vehicles. Time attack racing is a type of motorsport where racers compete for the best lap time. Each vehicle is timed through circuits of the track. The racers make a preliminary circuit, then run the timed laps, and then finish with a cool-down lap. It is also known as "Super Lap" or "Tuner Battles". The vehicles that normally participate in these events are from highly respected tuning companies with high budget vehicles. Aside from RWB cars, you can regularly find Nissan R34/R32 GT-R's, Mazda RX-7's, Mitsubishi Lancer Evo's and a few other makes laying waste to rubber on the track frequently as they furiously climb the ranks of Time Attack battles.